The number of winter tourists visiting Copenhagen has risen remarkably within the last year, reports business.dk. In the first three months of 2017, there was a 70 percent jump in tourists in Copenhagen compared to 2010 – a steady 4.8 percent increase each year. Over the period, the number of overnight hotel stays almost doubled, from 1 million in 2010 to 1.8 million in 2017 – a 80 percent increase compared to just a 32 percent rise during the summer months. Wonderful Copenhagen chief executive Mikkel Aarø-Hansen attributed the rise to “progress in winter tourism in the metropolitan area over several years”. And according to Aarø-Hansen, Tivoli’s decision to open this February for a special three-week winter season will boost visitor numbers even more. Tivoli, which has recently invested 10 million kroner into new rides and a skating rink, is opening in February as part of its 175-year anniversary celebrations. 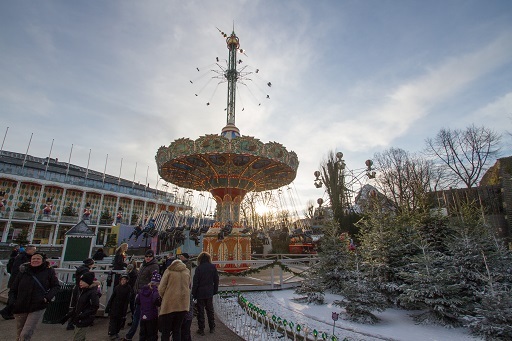 For a true Danish Christmas, head to Tivoli!